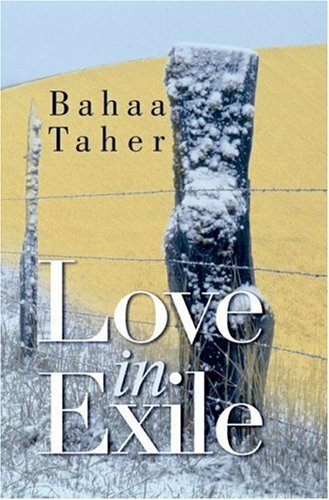 In Love in Exile Bahaa Taher presents multilayered variations on the themes of exile, disillusionment, failed dreams, and the redemptive power of love. Unwilling to recant his Nasserist beliefs, the unnamed narrator is an Egyptian Journalist in a self-imposed exile in Europe after conflict with the management of his newspaper and a divorce from his wife. Isolating himself in self-pity over his impotent position at the paper and in ill health, he suddenly finds himself faced with two issues he cannot ignore: the escalating tensions in Israeli -occupied Lebanon and, more personally, an unexpected love affair with a much younger Austrian woman, Brigitte. Brigitte, also an exile of sorts, encourages him to turn his back on the problems and pressures of the everyday world and cocoon himself in the warmth of their love. However, the horror of events surrounding the occupation of Lebanon in 1982 soon shocks them out of their contentment and safety. The issues of love, regret, complacency, and complicity are explored in this haunting work. 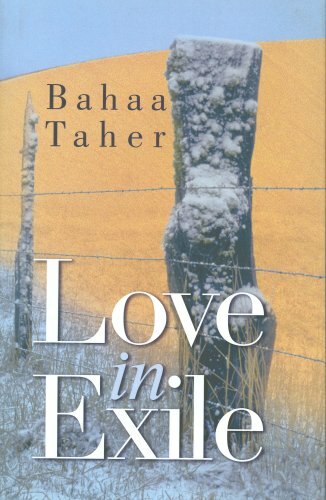 Bahaa Taher's highly original novel is eminently captured by Farouk Abdel Wahab's fluid translation. Bahaa Taher was born in 1935 in Cairo, and published his first short story in 1964. After living in Switzerland in the 1980s and 90s, he has recently returned to Egypt and received much literary acclaim. Taher received the State Award of Merit in Literature, Egypt's highest honour for writing, in 1998 and the Italian Giuseppe Acerbi prize for his novel Aunt Safiyya and the Monastery in 2000. Farouk Abdel Wahab teaches Arabic language and literature at the University of Chicago. Among his recent translations from Arabic are Ibrahim Abdel Meguld's The Other Place and No One Sleeps in Alexandria (AUC Press, 1997 and 1999).